At 7:30 Sunday morning, I was in the kitchen cooking. I would have rather stayed in bed, but sleeping late wasn’t an option. Another busy week for this working mom and wife includes, CrossFit, a day or two of jogging, football, work, tutoring for my son, blogging, laundry and a few other chores mean I have no other choice but to carefully plan for each week. All of the food pictured here I cooked Sunday between 7:30 a.m. and 12:10 p.m. When I finally sat down, I was exhausted, but relieved that the food was cooked and I wouldn’t have to turn the over, stove, or grill on for at least five days. Heeeeey!! Now I can focus on getting to CrossFit, the gym, and my running. LOL! 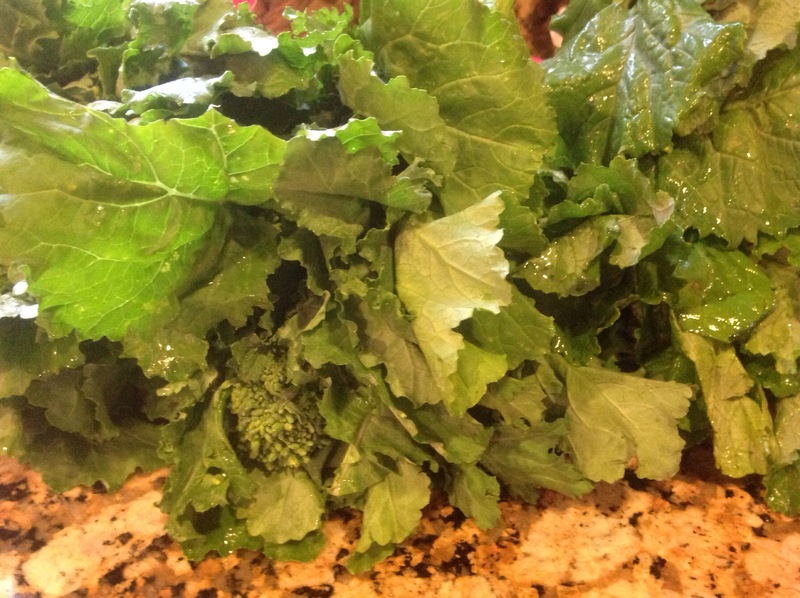 Two beautiful bunches of broccoli Rabe. They are so good sauteed in olive oil with fresh garlic, and crushed red peppers. 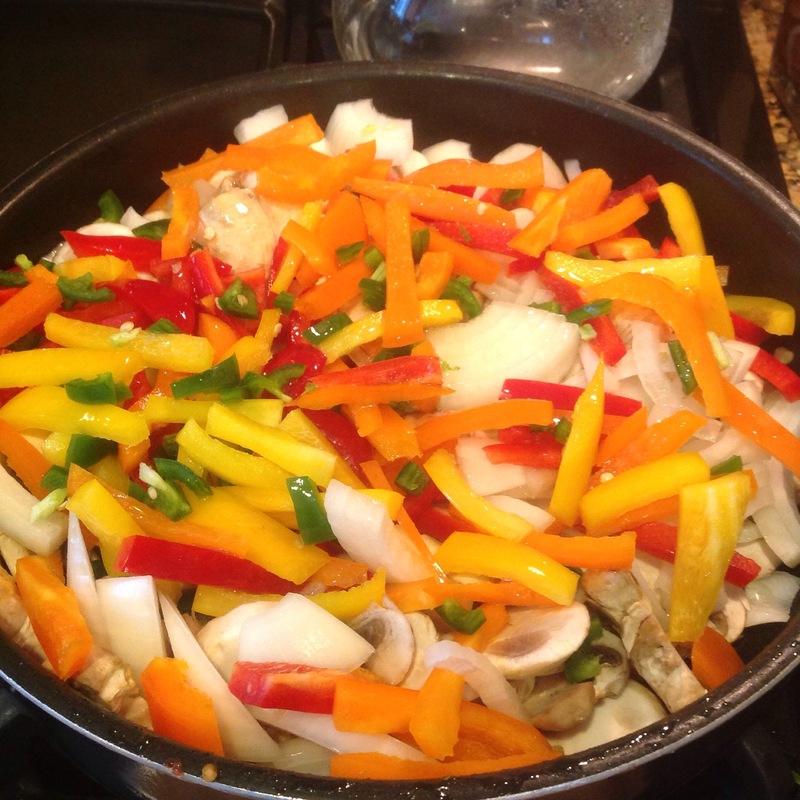 Mushrooms, sweet onions, jalapeno peppers, red, yellow, and orange sweet peppers. They are very good served over brown rice or Quinoa. Fluffy brown rice that I cooked in the rice cooker. 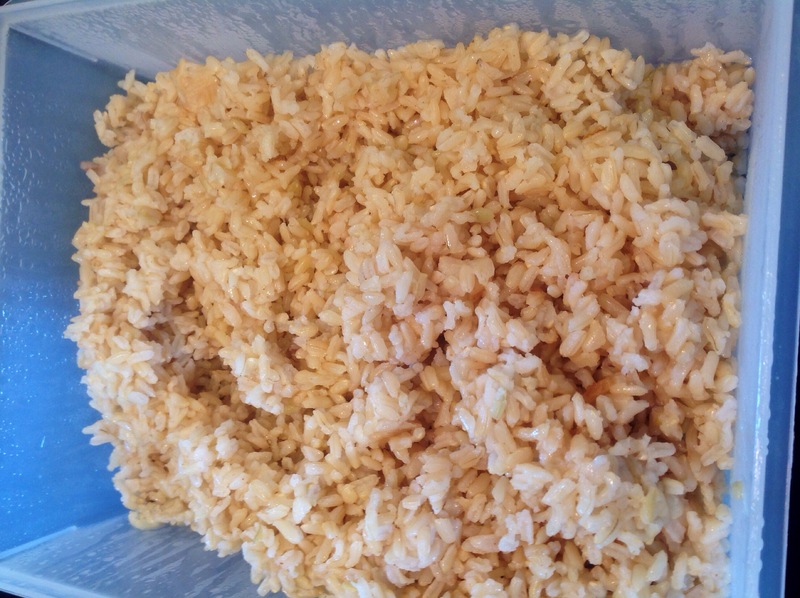 If you eat a lot of rice, a rice cooker is worth the money , as well as a time saver. 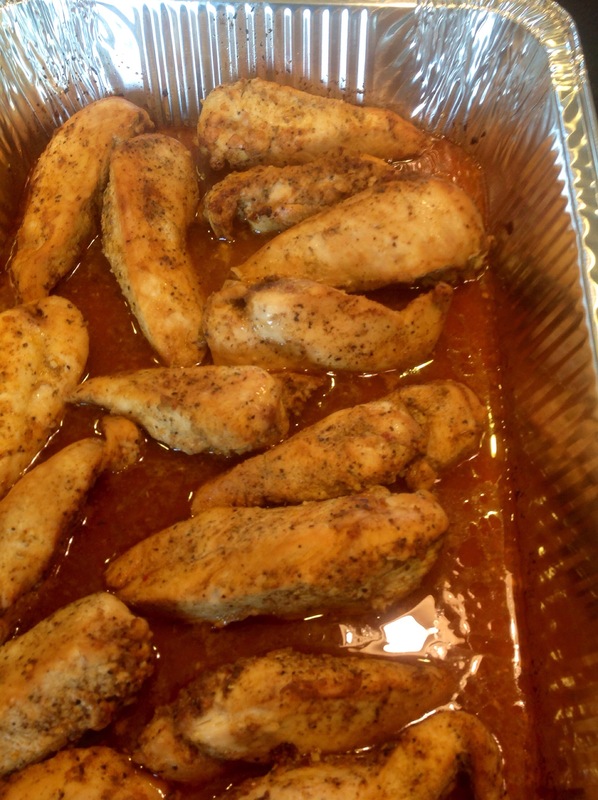 Boneless skinless chicken breast is much leaner that chicken thighs, breast, or drumsticks. Boiling my eggs in advance makes it easier to pack two-three for lunch. 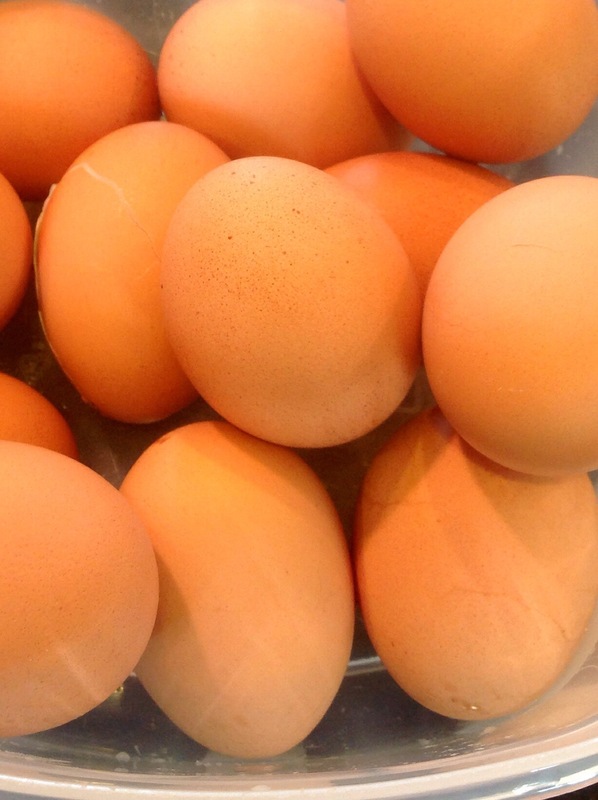 I usually eat only the egg white, sprinkled with egg whites. They are a great source of protein. 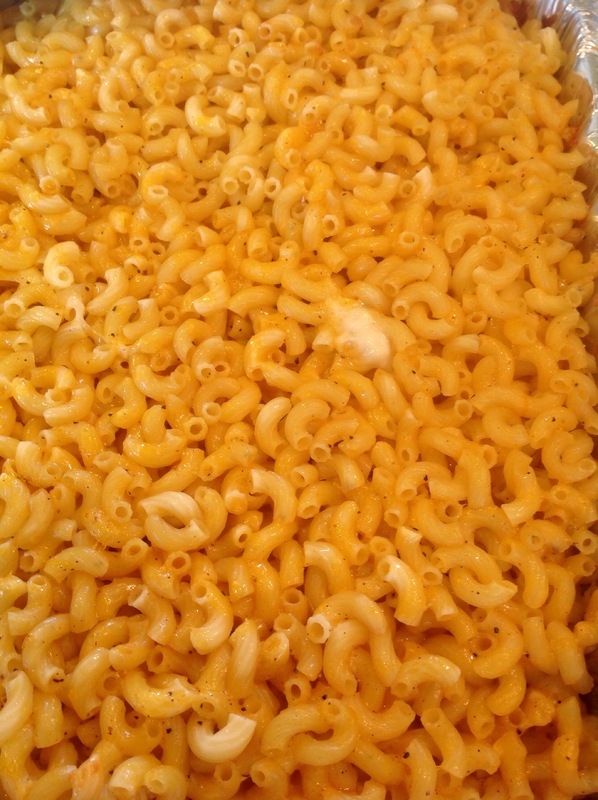 Baked mac and cheese for the family, This two-pound pan will test my will power this week. I cooked it because it is one of my family’s favorite dishes. 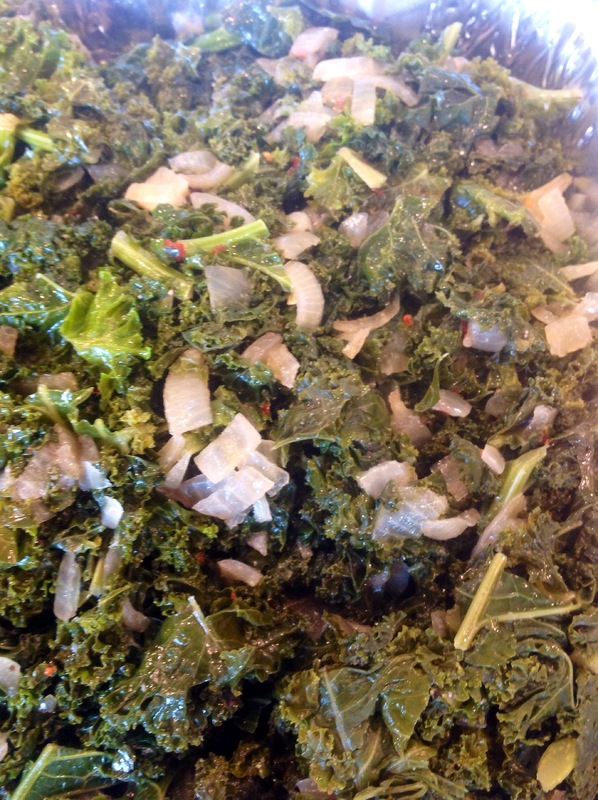 I tossed four pounds of kale in a pot with sweet onions, crushed red peppers, freshly ground black pepper and a little lawry’s all season salt… I can’t get enough of it. 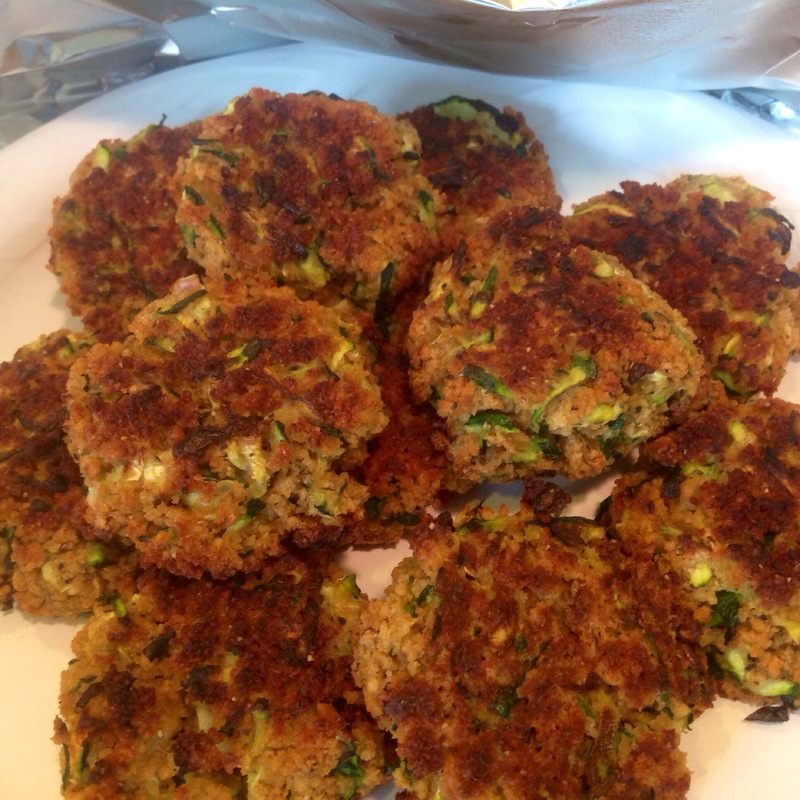 I found a super easy recipe for zucchini cakes on Pinterest. If you’re interested in the recipe, you can find me as “Lexa” and the recipe is posted on my board. It’s easy, quick, and healthy. This entry was posted in Family Living, Fitness, Healthy Eating, Healthy Living and tagged bell peppers, Boiled egg, broccoli Rabe, brocolli rabe, brown rice, CF, CrossFit, healthy-living, kale, Nutrition, Quinoa, sweet onions, zucchini, zucchini cakes. Bookmark the permalink. Yes I have already eaten and looking at what you prepared makes me want to eat again!! lol Your such a super mom…..I’m so proud of you and all you do!! !